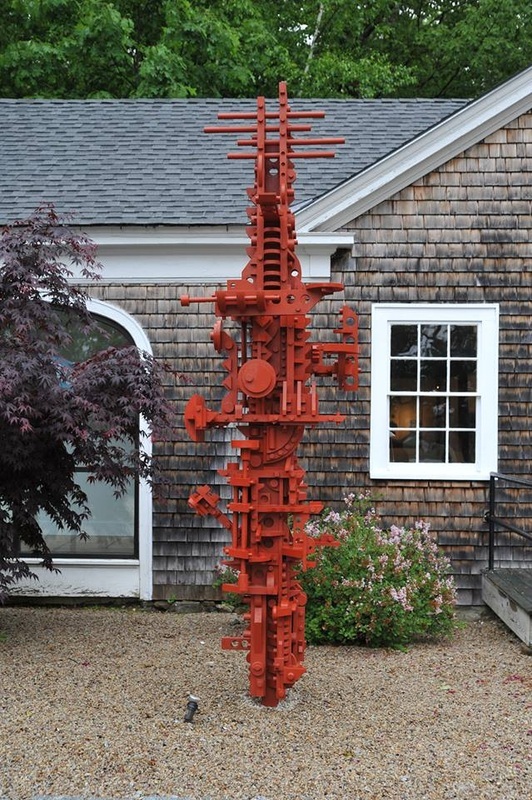 David Davies is a sculptor, lighting artist, and residential architect living in Newburyport, MA. He recently participated in the Flying Horse sculpture exhibit on the Pingree School campus in Hamilton, MA, currently has work on display at Sanctuary Arts in Eliot, ME, and is among the organizers of the Outdoor Sculpture at Maudslay exhibit at Maudslay State Park each year. As an artist, David has been known to create large scale environmental sculpture using corrugated plastic and zip ties but primarily works in wood to create architectonic constructs inspired by the geometries of nature and technology. Utilizing simple rhythm and repetitive elements his work presents a machine aesthetic intended to contrast and compliment the built and natural landscape.